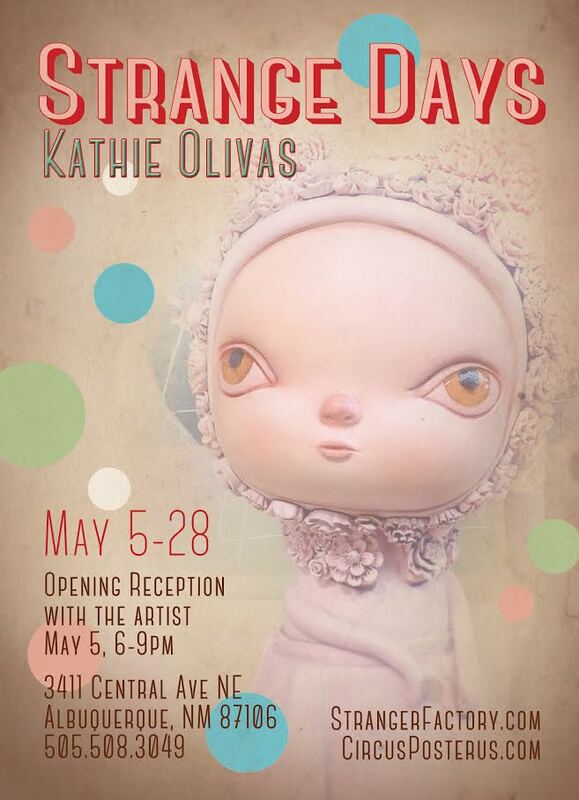 Kathie Olivas new solo exhibition “Strange Days” opens Friday, May 5, with an opening reception with the artist from 6-9pm. 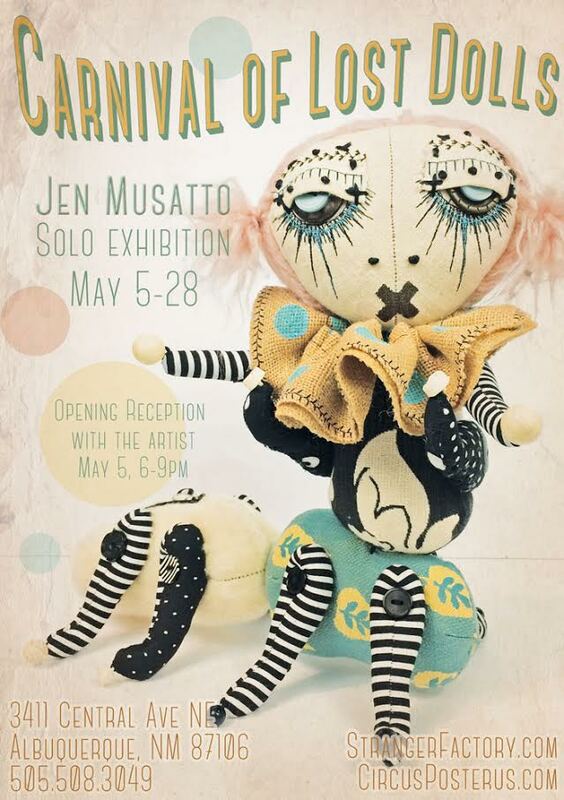 The exhibition of new paintings, mixed media assemblages, and hand made art toys focus on a brave new world of personified chaos and transformation. 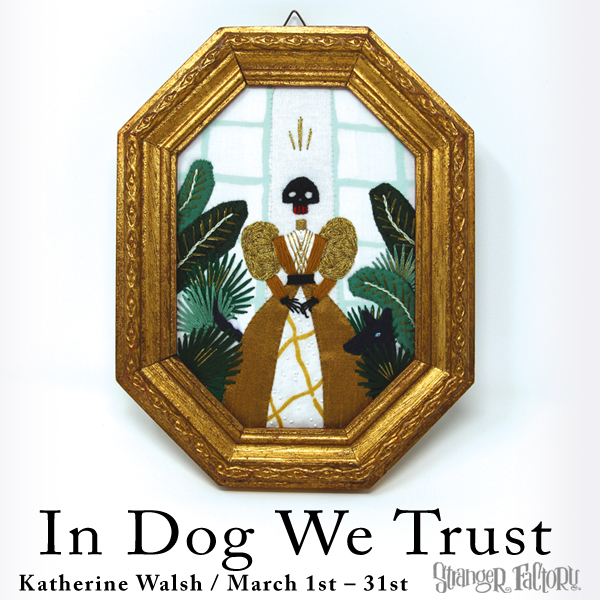 Through her current body of work she explores society’s insatiable desire to morph innocence with vulnerability and our discomfort with the unknown. 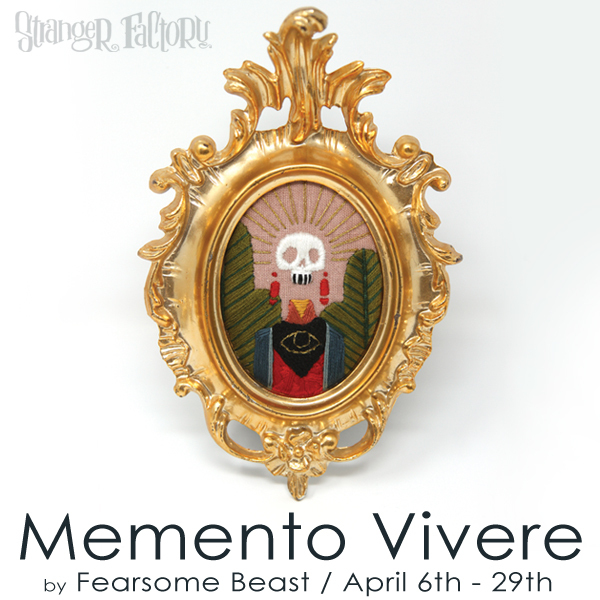 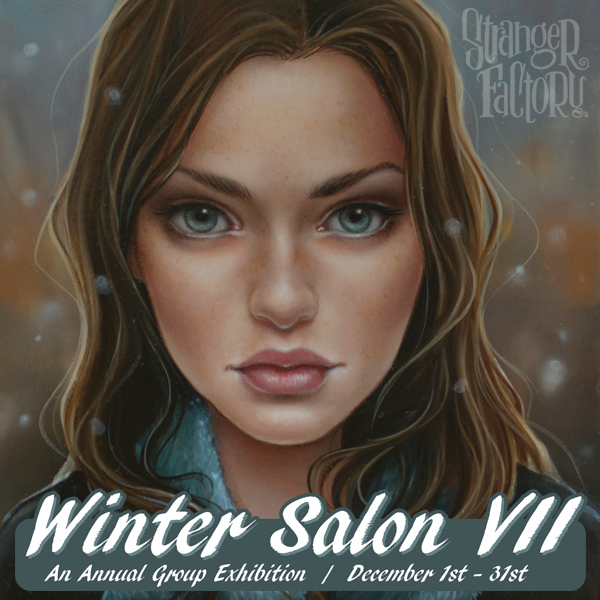 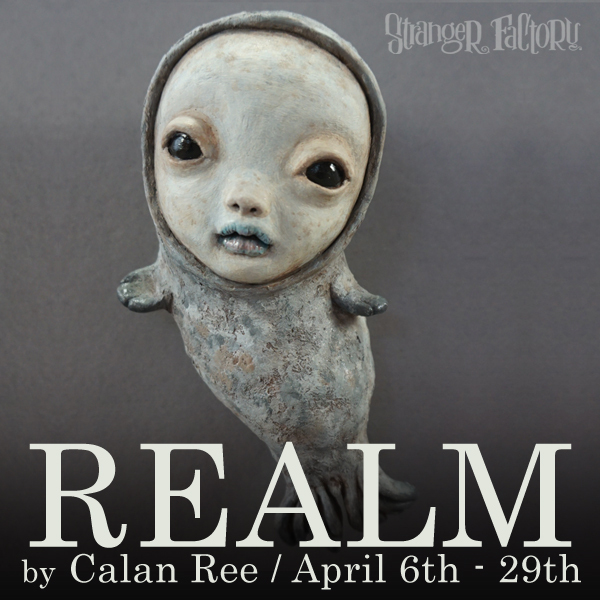 A dark blend of early American portraiture set in post apocalyptic times, her paintings and hand-made art toys are a satirical look at how fear and isolation affects our sense of reality. 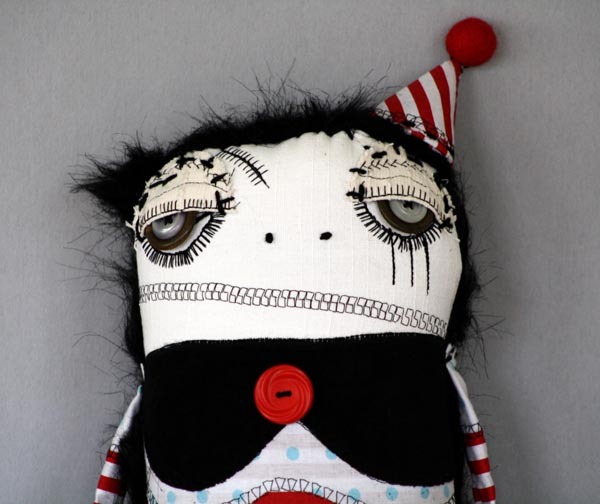 Kathie Olivas is an internationally exhibited multi-media artist from New Mexico. 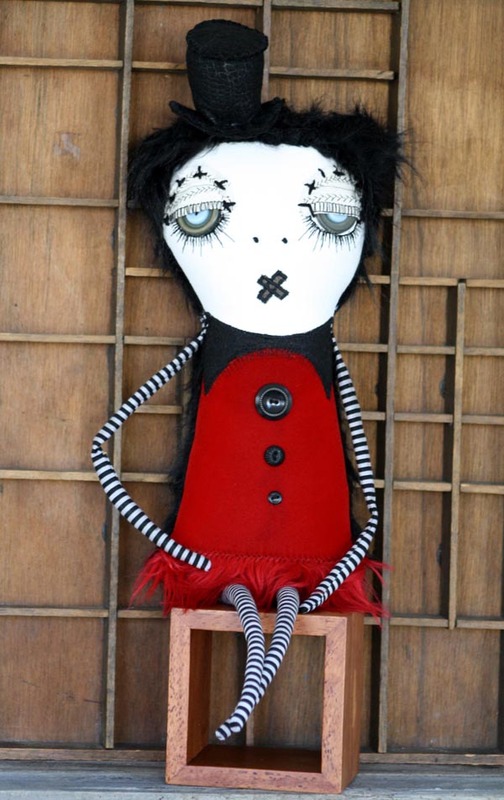 She received her Bachelor of Arts degree from the University of South Florida. 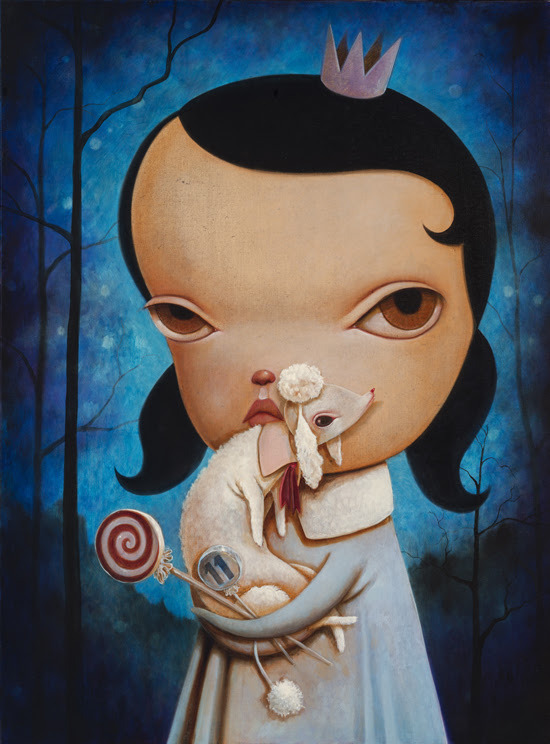 As a co-owner of Circus Posterus Inc. and Stranger Factory Gallery, Olivas has helped build the contemporary art toy market by curating and participating in exhibitions of narrative art throughout the world. 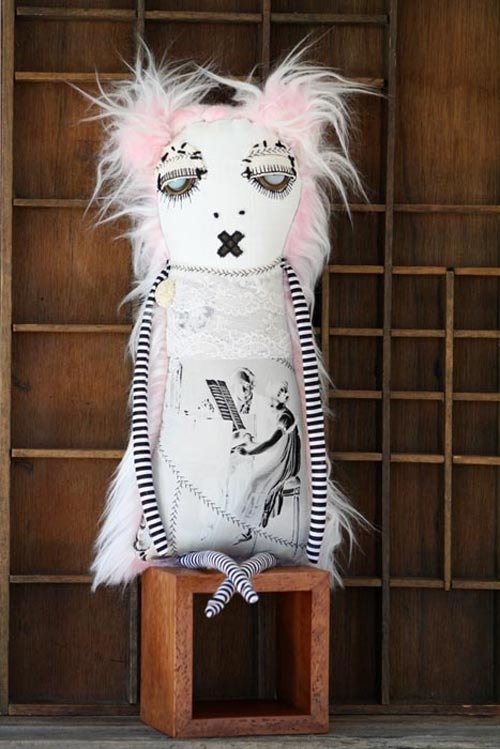 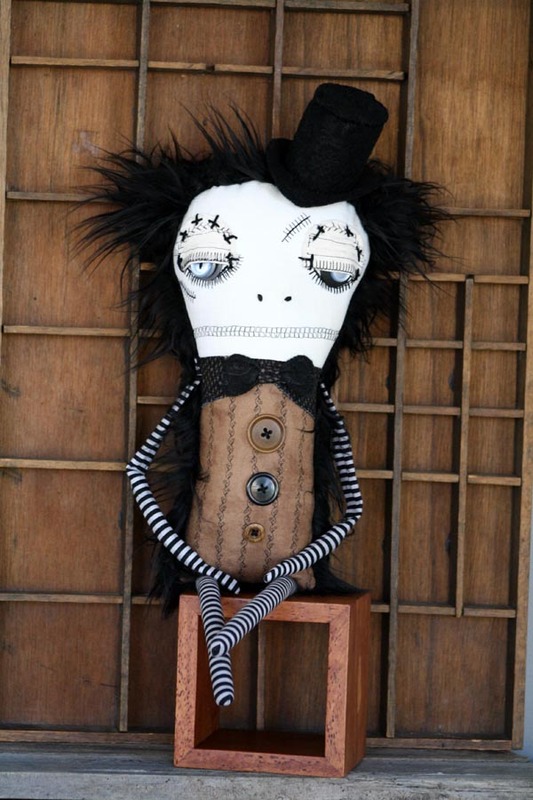 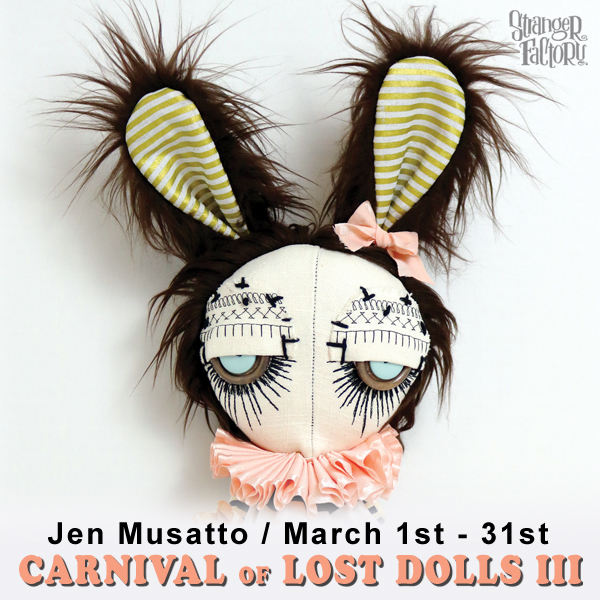 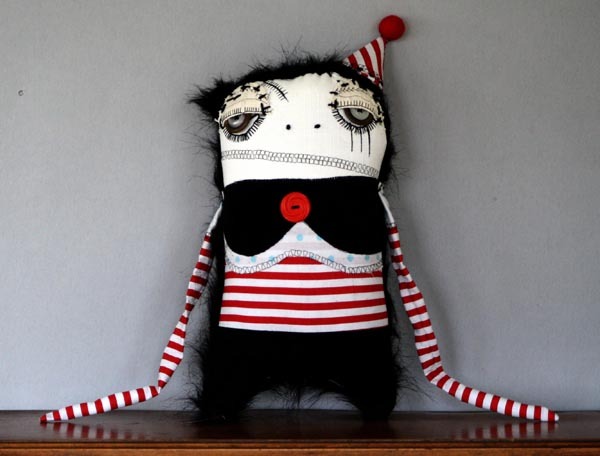 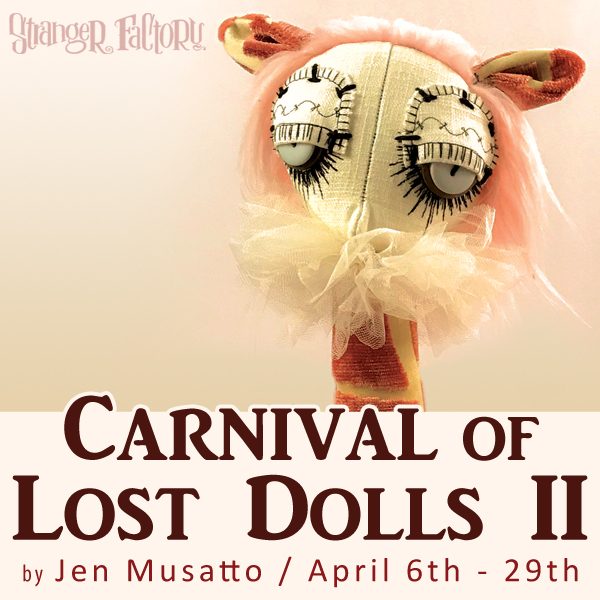 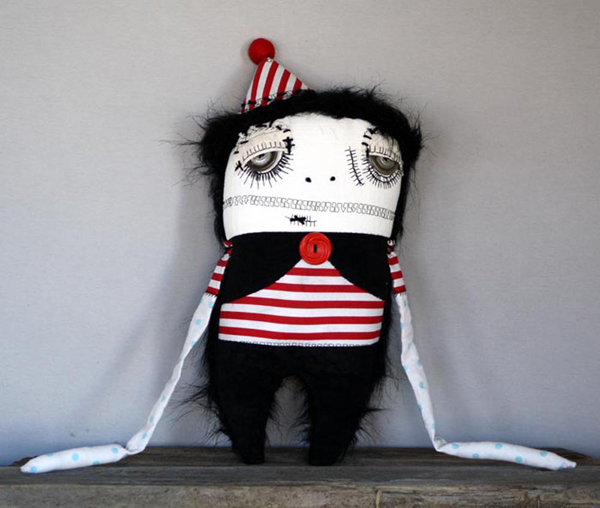 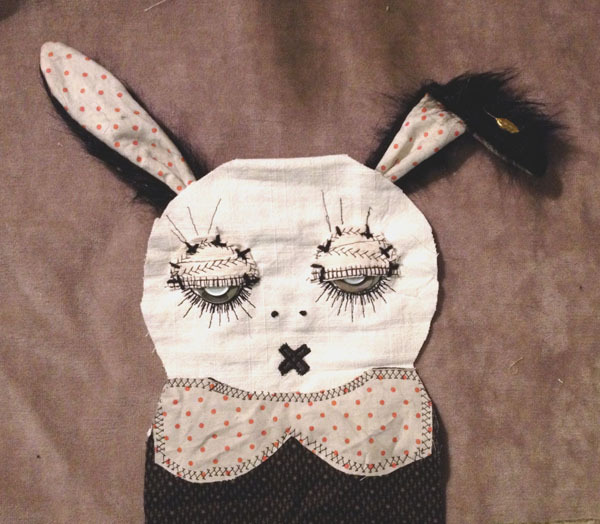 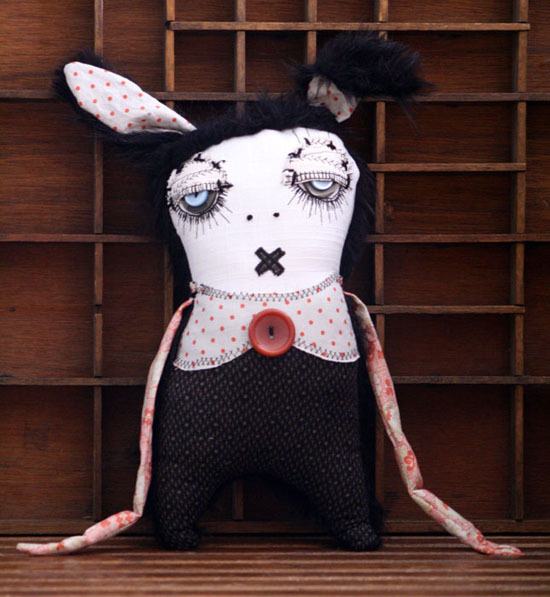 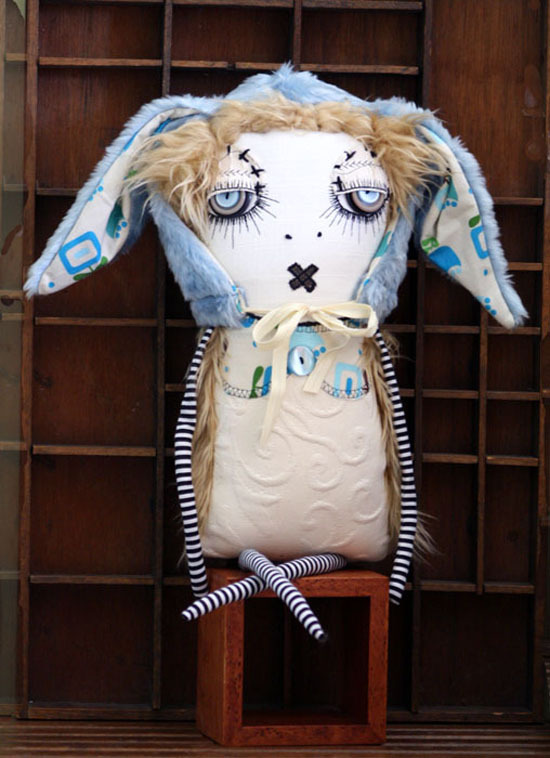 Jen Musatto creates “Them Dollz”, a line of handcrafted plush dolls that evoke a sometimesbroken and gloomy image of childhood where innocence and the longing for companionship take a most unusual form. 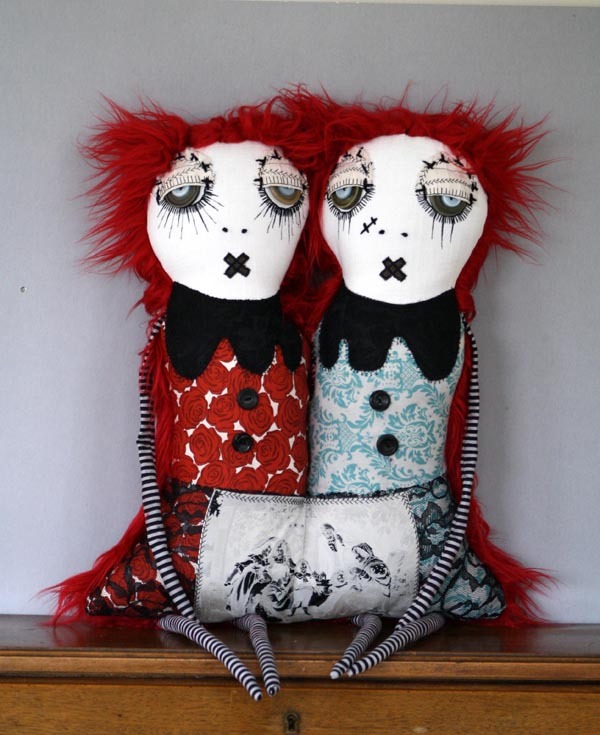 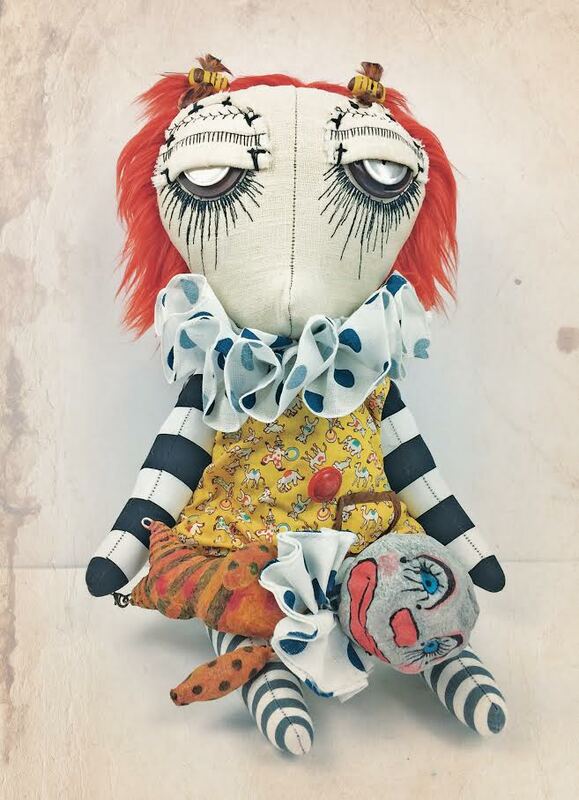 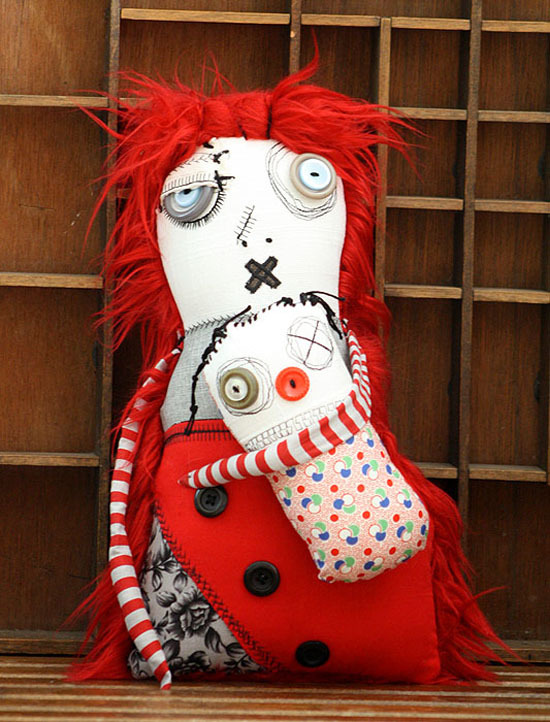 Her “rag doll” figures are nostalgic and reminiscent of the sewn faces of characters from her childhood like Raggedy Ann. 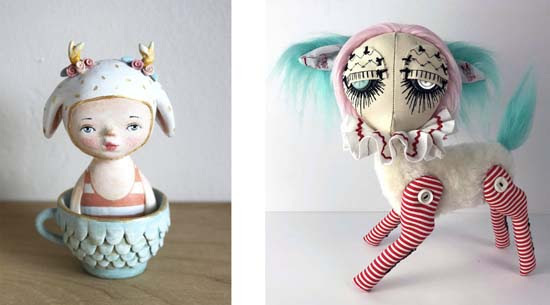 Made from a combination of new and found materials, Musatto’s art figures are each wholly unique and provide a fresh, if slightly creepy, voice in modern plush art.